I get tired of the lying voices in my head that speak a constant barrage of negativity. What keeps them alive is their longterm residency in my head, and sheer familiarity that made my listening to them a habit. Isn’t that what we fall into, habits of thought? Bad habits, but we don’t realize it. Self-limiting or self-destructive habits. Most of them rooted in fear. Fear of what? Failure most likely. Fear, fear, fear, fear. We are asked in 12-step recovery to, after taking a “searching and fearless moral inventory of ourselves”, to “Admit to God, ourselves, and to another human being, the exact nature of our wrongs”. In my experience, the exact nature of most of our wrongs is fear. Fear leads us to compromise. Fear can lead us to steal, lie, cheat, cut corners, be unkind to others, put on a front of arrogance, just to name a few. What can we do about this ever-present fear in us? Can we shut it off, learn to ignore it? Drown it out with other thoughts? I am in a place I haven’t known for about 10 years. A place of overwhelm with anxiety over some current circumstances. The last time I felt like this was when marriage #1 was falling apart and my now ex was ending things in the most abrupt and painful way. I couldn’t believe what was happening and I was in constant horror, anxiousness, and preoccupation with what was going on. I feared for the future and felt of little value. Amazingly though, in time and as life progressed, I all but forgot those times and feelings of 10 years ago. Much has changed. Life has recovered so significantly that it seems like another lifetime that all of the pain and turmoil happened in. It in fact seems like someone else’s life. Yet, for the first time since then, I am on the verge of some very similar, although I will say a muted version, of those same feelings. Our business, which has been a success and grown steadily over the past 5 years, has suddenly taken a completely unexpected slow-down. We have been working to understand why, but the best we can do is identify a short list of possibilities, as the root cause is not clear. I find myself in a version of the same horror, anxiousness, and preoccupation in this situation as I did in the last one. A tremendous fear for my future has welled up, in spite of the fact that there are many options and opportunities I can switch to if our business flounders completely. 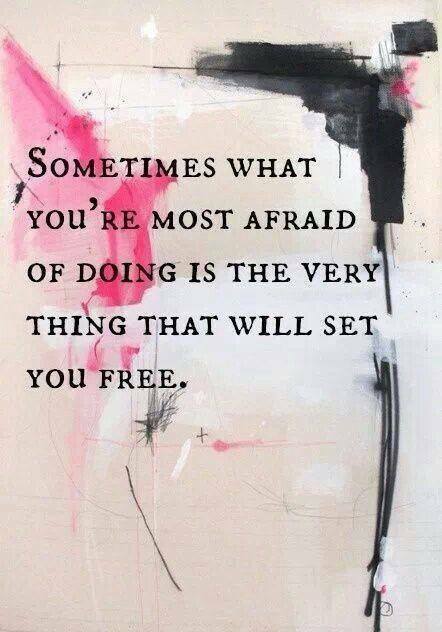 Which frankly is entirely unlikely, but the fear gets a hold of you and the worst comes vividly to mind…. and tries to stay there. I am not far off 50… in just a couple years …. and all of the benchmarks that were “supposed to” be reached feel like they are not. Not financially anyway. The anxiousness has been a real effort to deal with, yet I know the worry is inordinate. At least in my conscious mind. But my subconscious is having a heyday with these few small indicators that our business may be in trouble. Even though we may just be in a peculiar lull that is not easily explainable and may turn around at any time. I guess what I am saying is that fear is trying to move in. And it has made some inroads. I don’t want to lose what we have worked so hard to build. My fears try to tell me the worst. The truth is though, even if the worst were to happen, I still have many blessings in my life including my marriage, my health, my employability, my sobriety, and my veteran status of many of life’s most painful and challenging battles. I simply wanted to put this out there. To reach out and share what I am going through. It has always helped in the past. Has it really been 5 months since I last posted? How time flies… it has been a busy year. I was moved so deeply tonight and I can’t shake it. I haven’t blogged in a long time but it had always helped me in the past. I need to share tonight. My wife and I helped a family tonight. It was unexpected and I suppose untypical for us, but we came across a crisis in the lives of some people we know through our work. Another friend involved ask us if we could have the boy from this family stay with us for a few hours until the crisis was dealt with. We have an area of our home that they knew would accommodate him perfectly so we were happy to help. What I didn’t know was that the boy, about age 11, had some special needs, and was at the maturity level of about a 6-year-old. I also didn’t know that the crisis was about him. One of his parents had come to the end of their emotional rope and was coming unglued. Unglued due to exhaustion of dealing with a child with profoundly high needs. And perhaps some special needs of their own. A friend, a kind and loving lady, brought the boy to our home and sat with him. My wife and I popped in to see how they were doing. There he sat watching a video on our friends computer and playing with some favourite toys he brought along. 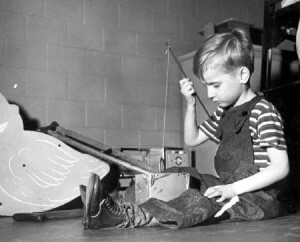 They were actually toys more typically played with by girls. Girls much younger than him. My heart melted. I welled up at the sight of this innocent child with pants left too short by his growth spurt, playing with dolls, and having no clue that he was our guest because his parents couldn’t handle him at the moment. I introduced myself and asked about his movie… a pixar film with brilliant animation and Hollywood stars doing the voices of the characters. He told me about the story line with his impeded speech, pronouncing his Rs as Ws, all the while playing with his collection of dolls on his lap. All I wanted to do in that moment was wave a wand and make his world perfect. Erase his disability, heal his parents’ woundedness, and make them all ok. I wanted him to be walking down Main Street U.S.A. at Disneyland with his parents. Happy, secure, loved… and not a care in the world. Yet isn’t the world full of children with needs and circumstances like his and far worse? Of course, everywhere. What can I impart to a child like this? How can I help? What can I do? All I know so far is that I can’t do nothing. Was I a version of this child when my family was coming apart 40 years ago? Although not special needs like this boy was, was I not this same naive child having no clue about the adult problems going on in the background? And kind friends and family around taking us in and helping us out to insulate us from the turmoil and dangers of my alcoholic father? I remember carting along toys to my Grandparents’ house when one night, Mom drove us there at an unusual time when my Dad was out of town, knowing he would surely return home drunk at the end of the job. Gladly, our young visitor tonight did return home with the help of the kind lady who brought him here, after another kind and capable friend had helped settle matters at his home and arrange some supports for the days ahead. Dear God, I can’t stand by and let things like this happen. Please show me what I can do and where I can start. I know I can’t help all, but please show me how I can help the ones I can. I learned today of the passing away of George Jones on April 26th, 2013. I had known of him for many years and in recent years become a fan. ‘Why’? I wonder. Perhaps because he is widely documented as an imperfect man, and often a scoundrel. He had been nicknamed, “No-Show Jones”, for a period due to his late concert cancellations or simple no-shows. Reportedly due to him being caught up partying or carrying on in some fashion. What a selfish jerk, no? Yet, isn’t our world made up of selfish jerks? Selves included? And aren’t we selfish jerks the one’s God reached out to and loved anyway? I too had been a No-Show Scoundrel when I was drinking. God loved me anyway. George, you will be sadly missed. Thank you for your contribution to our world for over 50 years. … if it didn’t hurt, it would be funny. Why can TV sitcoms be funny while life is painful? Could it be that we don’t feel the pain of a circumstance when we are watching it on TV while we do when we are going through it? When the circumstance isn’t ours, it can be uproariously funny. But when it is, and we are in the midst of it, we often feel only pain and confusion. Let me explain what is prompting this… we have a neighbour with some annoying and disruptive behaviours. Behaviours that are often carried on late at night or early in the morning. Behaviours involving noise and a lack of consideration for others peace, time, and energy. These behaviours are not illegal, one can do nothing about them, and they have been going on for years, much to the upset of several neighbours. This week, the disruptive neighbour complained to my wife and I about our friends parking on the street in front of her house. Basically saying we were disrupting her. Now, where our friends parked, and it was only for an hour, was near a part of her house that nobody ever goes, does not block access, and frankly is neglected. But, for some reason, she complained to us and even placed rocks on the gravel shoulder to prevent anyone from parking where she didn’t want. My wife was furious. I was ticked. We thought of calling bylaw enforcement since the rocks were technically on public land, only a few inches from the paved public road, and frankly a danger. Plus, there still was no law against our friends parking for short periods by her house. We schemed, strategized, and fumed over it for maybe a couple hours. We thought of reporting her to bylaw enforcement, throwing the rocks in her pool, hiding them, and a variety of other energy-sucking schemes. 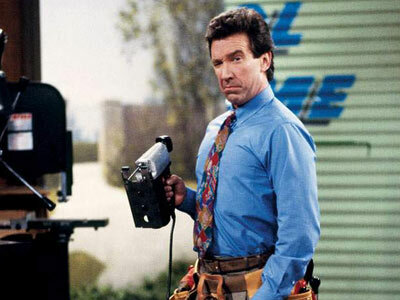 Then it occurred to me, if this were an episode of, say, ‘Home Improvement’ with Tim Allen, it would be awfully funny. I began to picture this as a scene from home improvement, where some unreasonable, disruptive neigbour could be accusing Tim and his family of being disruptive and then making a silly gesture to make their point. I sat down with my wife and shared the notion and she too began to laugh. I then asked her, “Are we really going to declare a Jihad over all of this”? And also, “How much of our energy are we prepared to give this… even just to fume”?. And finally, “How about, instead of being mad, we find a way to have fun with this”? So, at a time when the neighbours were mostly at work, I simply walked over and moved the rocks about 6″ further away from the street and more onto her lawn. A day later, another 6″, and then another and another. Each time we laughed and genuinely had a good time with it. I even had a slight inkling that I hoped the neighbour would catch me so this could really turn into a farce. Here I am, a late-40’s suburban Dad, husband, business-owner, and responsible, tax-paying member of society, sneaking over playing the rock game. So today, the rocks are a safe distance from the street and, in fact, well onto her un-kept lawn, and she seems none the wiser. Our friends park there with ease and even join in on the laughter of what has been going on. Do we not have at least somewhat of a choice as to how much pain we feel over unfair situations? If we remove ourselves from the inconvenience of it all, and treat it as if it were the silliest sitcom we know, wouldn’t it be just plain funny? And wouldn’t we save ourselves a whole lot of grief and emotional energy by doing so? Great post that really resonates to me regarding the use of profanity including in AA meetings. Also available on podcast…. just cruise the http://www.sponsortosponsor.com site. My staple-remover went missing at work the other day. One I had had for years and came to rely on. It also had sentimental value. You may be wondering why a post on such a trivial matter. Well, isn’t life made up largely of trivial matters? Small matters that we blow up into big things. Numerous small matters that accumulate and affect how we feel and eventually form who we are and how we treat others? Often it is. Very often. And experience has shown me that we won’t handle the big things any better than we do the little things, so why not perfect how we handle the little things? At first I was frosted. Then quickly realized…. it is a staple remover for crying out loud! And the person who borrowed it and lost it is a wonderful person! They just made a small mistake. I laughed when I saw where my thinking and attitude were going. A staple-remover for crying out loud! Worth $2 at most! Replaceable! Yet somehow, my subconscious wanted me to ramp up emotion and turn this into an incident. In light of years of sobriety, a deep belief in grace and forgiveness, and more emotional balance than any other time of my life, there is still evidence of remnants of un-health and immaturity that pop up from time to time. My task is to decide what to do with them. 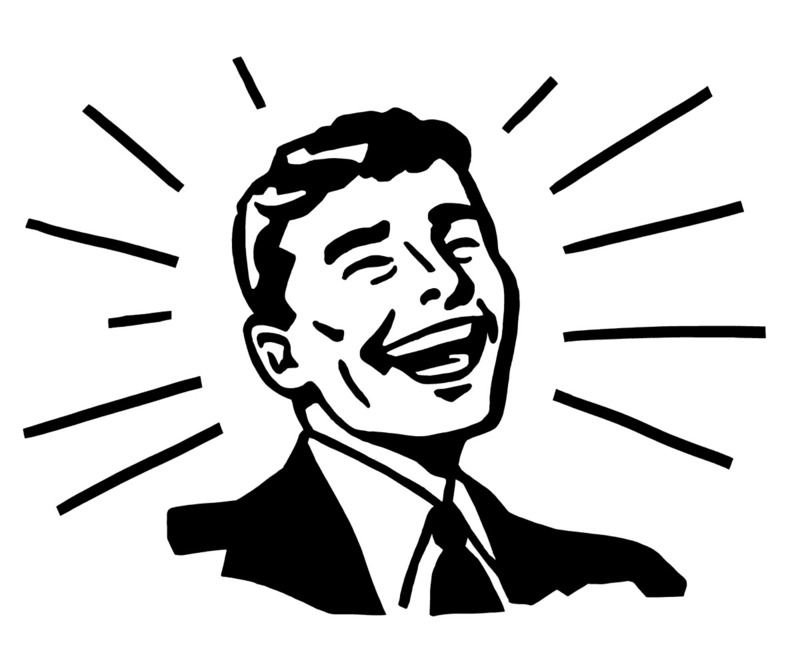 My solution for today… laugh at them. Newsflash…. Wonderful people will continue to make mistakes in my life. Minor inconveniences will continue to happen. Laugh at it and move on.